Mass Incarceration and the "Politics of Respectability"
Sometimes complicity is less about responsibility and more about diminished agency. Locking Up Our Own: Crime and Punishment in Black AmericaFarrar, Straus and Giroux, 2017. 320 pp. A judge sits in the courtroom ready to sentence a juvenile named Brandon. The young man has been caught with a gun and a small amount of marijuana. Before the judge renders his verdict he gives a lecture in which he recalls the memory of the civil rights movement and Martin Luther King Jr.
"Well, let me tell you: Dr. King didn't march and die so that you could be a fool, so that you could be out on the streets, getting high, carrying a gun, and robbing people. No, young man, that was not his dream. That was not his dream at all," the judge scolds. Beside Brandon stands his public defender, a man who entered law so he could stand up for people who were caught in a system that offered them a meager menu of curtailed opportunities. 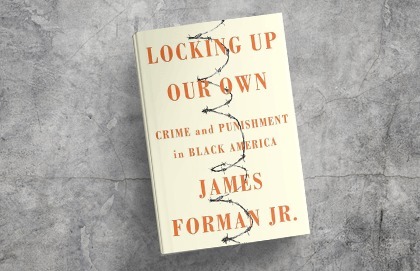 The singular contribution of Forman’s book—an emphasis on black decision-makers and their influence on mass incarceration—also poses its greatest risk. The judge pronounces the sentence. Six months in juvenile detention. Six months away from school. Six months away from his family. Six months that could negatively affect the rest of his life. 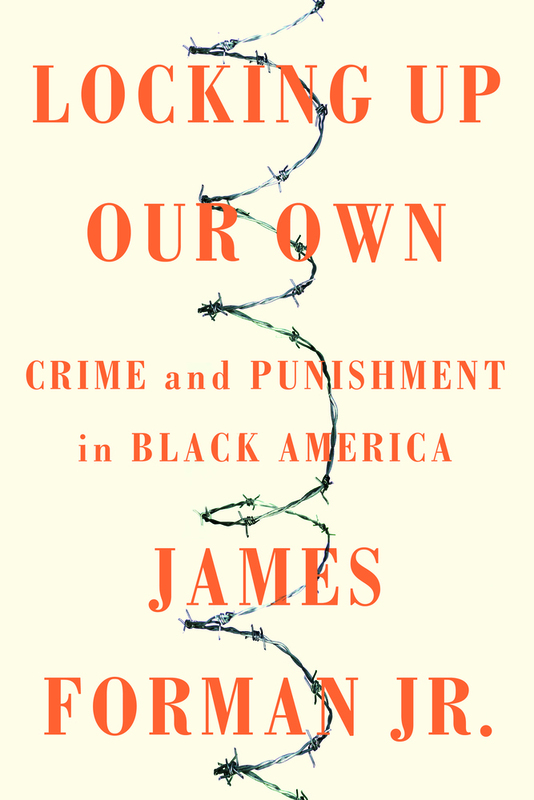 James Forman Jr. opens his book, Locking Up Our Own: Crime and Punishment in Black America, with this gripping and true story. He is the attorney defending Brandon. All three men—the lawyer, the judge, and the juvenile—are black. According to Forman, black involvement is the piece that has been missing from the conversation about criminal justice and mass incarceration. Locking Up Our Own explores the role black leaders played in enacting the laws and policies that led to ballooning of America's prison population. Although the United States has just 5 percent of the world's population, it houses 25 percent of the world's prisoners. Many of those inmates are black men and women. While popular works like Michelle Alexander's The New Jim Crow and the documentary 13th directed by Ava Duvernay highlight the racial inequality in the penal system, the instrumental role black people have played in creating the carceral state has received relatively little attention. The unique contribution of Forman's book is the way he centres on black decision-makers, intellectuals, prosecutors, police offices, and legislators. In a lecture on the book, Forman said, "I felt like somebody needed to write a book that grounded the experience in black communities." Much of the national discourse on mass incarceration includes black people only as criminals and prisoners. In reality, however, they occupy many other positions in society and helped make the choices that led to the modern carceral state. Forman's approach to the issues of American crime and punishment stands out from others because he delves into the countless mundane events that have influenced our current criminal justice policies. Instead of just looking at national trends and federal laws, he describes "mass incarceration as the result of a series of small decisions, made over time, by disparate groups." The municipal, county, and state-level actions matter just as much or more than pronouncements from senators and presidents. 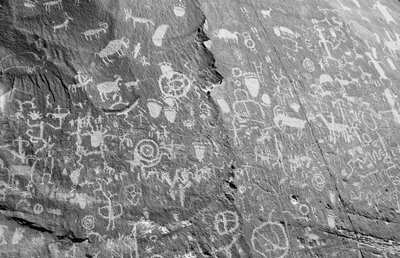 Forman's own history factors into his viewpoint. The son of famed civil rights activist James Forman, the younger Forman grew up with an acute awareness of the struggle for justice. He attended Brown University and went to Yale Law School, where he now teaches. 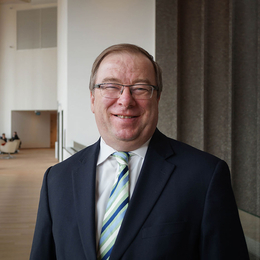 He served as a public defender for six years, and many of the stories and perspectives on display in his book arise from his time in the courtroom. In 1997, he helped start the Maya Angelou Public Charter School as an alternative school for juveniles in Washington, DC. Locking Up Our Own is his first book and has received overwhelming praise from book critics and national news outlets. Forman divides his book into two parts—"Origins" and "Consequences." 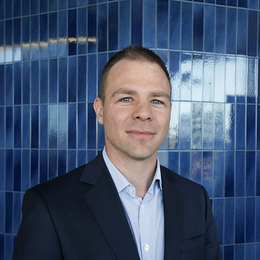 In the first part, he traces the roots of modern criminal justice policies. He shows how heroin led black leaders to oppose any policies that would have relaxed penalties for marijuana possession. He demonstrates how gun control efforts led to the imposition of harsher penalties like mandatory minimums. Forman also relates the disappointed hope that getting more black police officers would lead to better policing in black neighbourhoods. It turned out, however, that often "black police officers were just as physically abusive as their white counterparts." The second part of the book relates a tragic tale of unintended consequences that have decimated generations of black families and communities. Police officers on the beat and neighbourhood residents alike saw prisons as revolving doors for criminals. So they sought harsher sentencing laws—a move that corroded the criminal justice system and resulted in unfair penalties for relatively minor offences. When crack hit the inner city in the 1980s, black leaders called for increasingly longer sentences for drug possession until crack had a sentencing ratio of one hundred to compared to powder cocaine. Drug dealers acquired more powerful guns, and so did police, which led to law enforcement serving more as an occupying army than as those empowered "to protect and serve." Only later did black leaders realize the disproportionate and negative effects these policies would have on their own communities. As a result of harsher sentencing, concentrated poverty, and ongoing racial disparities in the justice system, the prison population ballooned, mostly with poor racial and ethnic minorities. What Forman surfaces in his study are the truncated options and the limited imaginations of black leaders and community members in regard to crime and punishment. The singular contribution of Forman's book—an emphasis on black decision-makers and their influence on mass incarceration—also poses its greatest risk. Some readers may be tempted to read Locking Up Our Own as a book about how black people supported harsh penalties for other black people, thus shifting culpability away from America's long history of racism and excusing the racism embedded in the criminal justice system. After all, if black people supported the same consequences and approaches to law enforcement as some white people, then mass incarceration really has nothing to do with race. As the book title indicates, black people locked up their own. Such a reading would be careless, however. In the lecture mentioned above, Forman said, "If you suggest that the people [in my book] had unlimited, unfettered options and from all the choices available to them they just chose mass incarceration then, yes, you feed into that narrative." He went on to say, "My argument is the people that I'm writing about were constrained in all kinds of ways." He then cites racism, Jim Crow, redlining, wealth discrimination, and lack of resources as some factors that curtailed their options. They also sought congressional approval for money for police and prisons, housing, education, jobs, mental health, and drug treatment. Funds they usually did not receive. "If we're going to be serious about all of these questions, then it is essential that we think critically about the role that African Americans may have played in this, but that in no way diminishes the larger story of Jim Crow, structural racism, and white supremacy," Forman stated. What Forman surfaces in his study are the truncated options and the limited imaginations of black leaders and community members in regard to crime and punishment. Trapped in neighbourhoods devastated by poverty, drugs, and violence, they sought to protect their homes and loved ones the best way they knew how. The only options at their disposal seemed to be a combination of harsher policing on the streets and longer prison sentences. Forman conveys a sympathetic picture of these men and women who were simply trying to make their communities safer. Like most others, they did not foresee the unintended consequences that would play out in subsequent generations due to their "tough on crime" stances. Often black ministers and church leaders were the most outspoken advocates of strict policing and penalties. They opposed decriminalizing marijuana since they saw it as a gateway drug to heroin. They also supported longer prison time for gun-related crimes. 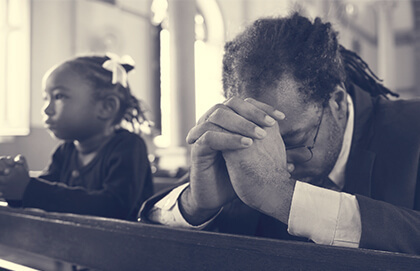 Black people of faith lent moral credibility to political efforts to change criminal justice policies. Ministers wanted to protect their congregations and communities from the scourge of drugs and weapons that affected the people they knew. One minister spoke to a legislative council about the loss of his own son due to gun violence, mentioning "the utter despair and continuing psychic pain brought to my family when or twenty-two year old son had his brains brutally torn to pieces by the hands of another young man." Notwithstanding the good intentions of black leaders, though, Locking Up Our Own compels further conversation about the "politics of respectability." Historian Evelyn Brooks Higginbotham coined the term in her 1993 book, Righteous Discontent: The Women's Movement in the Black Baptist Church, 1880–1920. The politics of respectability was an attempt by black Christian women, and members of the black middle class more broadly, to oppose "the social structures and symbolic representations of white supremacy." Respectability meant subverting the racist images foisted upon black people that characterized them as lazy, rapacious, dull, and immature. The effort to present a different narrative of black character had an external dimension directed toward the white majority. It also had an internal dimension directed toward black people. Middle-class blacks often deployed the politics of respectability to chastise working-class and poor blacks for not exhibiting proper decorum and comportment in their clothing, spending habits, language, and aspirations. In a similar way, the politics of respectability may be at work when black leaders consider crime and punishment in their communities. While other motives are certainly a factor, middle-class blacks may have transposed their own values onto their poorer neighbours, many of whom turned to crime not because they were malicious but because they were desperate. Leaders who advocated mandatory minimums and a no-excuses type of law enforcement, they may have been subconsciously expressing condescension toward a class of people who failed to exhibit the traits consistent with their version of respectability. Anyone concerned about mass incarceration has the opportunity to make a positive impact. "The terrible thing about mass incarceration is that it is so large it touches almost every aspect of American society. That's also a good thing. No matter where you sit, there is something you can do," Forman said in his recent lecture. He recommended starting local. Research community-based anti-violence programs that help prevent people from getting caught in the system in the first place. Get involved in local elections and become a candidate. Forman also suggested getting to know the local prosecutor in the community. "These are the most powerful people in the system, and nobody votes in these elections," he said. Last, support or become an educator for incarcerated persons. Forman related his experience as a teacher in the Inside Out exchange program in which a small group of non-incarcerated "outside" students go to prisons and have class with incarcerated "inside" students. According to Forman, learning alongside someone who has always been portrayed as "other" has a humanizing effect. In the end, Forman's book reminds Christians of two crucial biblical truths: total depravity and the image of God. The men and women who commit crimes serve as clear reminders that "all have sinned and fall short of the glory of God." Evil is real, and sometimes people perpetrate horrendous harm toward themselves and others. One cannot read Locking Up Our Own and leave with any doubt that crime must be addressed seriously and decisively. At the same time, even though someone has broken a law, he or she is made in the image of God. It is the dignity of each person as God's creation that makes harming another person so reprehensible. Yet it is that same fact, the image of God in all people, that mitigates any response that would simply incarcerate offenders without due consideration of the long-term impact. Forman's analysis does not lead to simple solutions. He forces us to evaluate two realities that are in tension: the need to punish offenders and the need to treat them as fearfully and wonderfully made human beings. It should leave us with more empathy toward offenders who can be all too easily dismissed as criminals who do not deserve mercy. At the same time, the book helps us realize that it will take a massive marshalling of creative energy to imagine effective solutions to complex problems of criminality. Locking Up Our Own serves to inform and challenge our concepts of crime and punishment. Anyone concerned about mass incarceration and how to enact justice in a flawed system run by fallen people should read this book. Jemar Tisby is the President of The Witness and Co-Host of Pass The Mic. 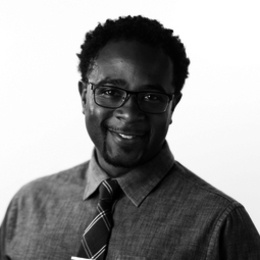 Jemar is a PhD student in History at the University of Mississippi studying race, religion, and social movements in the twentieth century. His most recent book is The Color of Compromise: The Truth about the American Church's Complicity in Racism (Zondervan, 2019). When remembering is painful, but necessary. 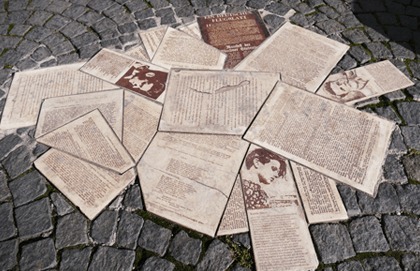 Learning from Sophie Scholl in Charlottesville. Why looking back might be the best way for the church to look ahead.